I confess, I rarely go to the movies and I don’t know what he’s up to. I only know where he’s been. 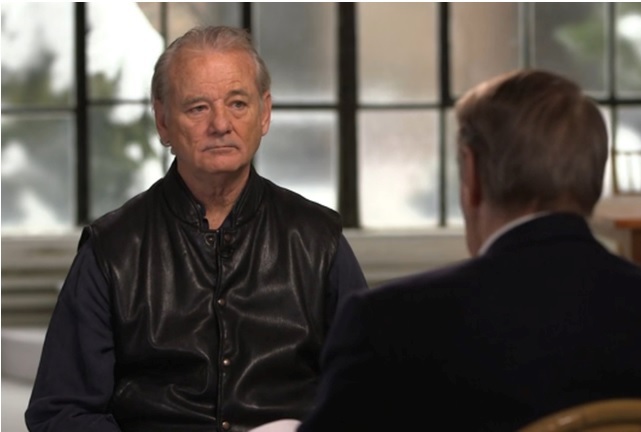 Most boomers remember Bill Murray for Caddyshack. That interview was an investment in self. The man is an inspiration, SO genuine. His focus is on being more fully present and he looks forward to getting very old. He talks about the healing power of humor. He says he was approached by Stevie Nicks out of the blue and she said one time, during difficulty, she watched Caddyshack for a whole week and it helped. I say he’s proof that angels walk among us because of how he responded to Charlie’s question “What’s not there that you want to get to.” He responded “I think I’d like to wake up better … just keep an eye on what you’re doing when you wake up.” Because the pillow can feel so good. He talks about being inspired by a soulful black church in Charleston where the music is better. And watch for his remark about John Belushi being dead as long as he was alive. Feel him in that long pause where he struggles with the reality. SO deeply moving. I watched it twice; I will probably watch it a third time.